Mike Bohler has been studying and debunking conspiracy theories since the old days of computer bulletin board systems. He ran a system called Radio Free Illinois under the pseudonym of Dr. Oldsmobile, where he routinely posted the results of his efforts to discover the truth behind the hype of conspiracy theories. He has an avid interest in historical conspiracies, particularly those involving Pearl Harbor, but he’s also interested in other aspects of American history including the American Civil War and the Progressive Era in the United States. Bohler agreed to answer a few questions from the Skeptical Briefs’s Gurmukh Mongia. Gurmukh Mongia: What is it about conspiracies that you think really fires the public’s imagination and gets people interested in hearing more about them? Mike Bohler: I believe there are a couple of reasons that people will be attracted enough by conspiracy theories to advocate for them. First of all is the aspect that deals with the personal fears that many people face. This is on the basic necessity level, things like having food on the table and a roof over your head. Many conspiracies prey on people’s fears of losing these basic needs. A one-world government, for example, is often envisioned as a totalitarian state which will take away all rights to personal property. The second reason relates more to politics, which builds upon personal fears but adds a level of in-group versus out-group dynamics into the mix. This, again, plays into people’s fears—paranoia even—of overreaching intrusions into not only personal affairs but into group level persecutions. Simply put, many conspiracies feed our natural level of paranoia. They often provide a simple enemy and objective for directing our fear and anger. 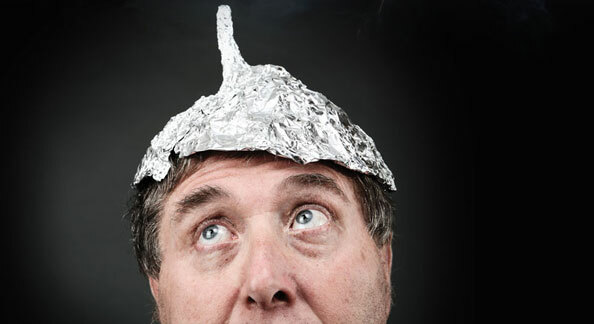 The fear generated by conspiracy theories can be a powerful motivation towards action. Bohler: Several factors converged which led me to start podcasting. My basic interest in the topic of conspiracy theories in general, and the topic of the Pearl Harbor conspiracies in particular, led me to want to do something that would help me get my views out to an audience. I thought about writing a book on my opinions of the Pearl Harbor conspiracies, but I was unsure about how to go about that, and I thought a podcast would be a wonderful way to get my views directly through to the public. I have personally known people who lost their life savings believing in the Y2K conspiracy. It’s very sad that honest and hard working people lose their life savings because of conspiracy theories that prey on their fears. Sometimes, belief in these conspiracies can even result in death. I believe that greater public awareness of these issues can only be a good thing. I had started listening to podcasts, especially skeptical podcasts, and I was very impressed with the power of this medium to allow individuals to fairly easily get their voice and their message out to a wider audience. With so many skeptical podcasts out there, though, I needed an angle to try to make my voice heard. I noticed that most skeptical podcasts focused on scientific based conspiracies such as vaccine denial or homeopathy. I felt like there was a niche here that I could fill with my aforementioned interest in historical based conspiracies such as Pearl Harbor, the Illuminati, and holocaust denial. Bohler: I was very pleased to see how popular my episode on celebrity conspiracies was with my audience. I got a lot of very encouraging feedback from that episode, as well as requests for more material on these kinds of topics. I am, however, particularly fond of my Pearl Harbor shows. I have done so much reading and research on the events leading up to the attack that I feel like it would be difficult to find much in the way of information that I have not already gathered on the topic. In spite of this, I find different angles on the topic endlessly fascinating, and the range and depth of the accompanying conspiracy theories are very rewarding. Mongia: You do extensive research for your episodes. Have you ever come across facts or arguments in your research that have led you to conclusions that have surprised you? Bohler: This happens to me all the time. I feel like it’s a skeptic’s job to look at an issue from a variety of possible angles and consider information that doesn’t completely mesh with your preconceived notions. There have been many cases where I chase down one line of thought and discover either a piece of information that would fit well as part of a different conspiracy, or more usually a line of inquiry that I never thought of. Most of the time it doesn’t change my basic opinion on a conspiracy, but it can add a lot of nuance to the exercise of understanding the facts of the situation and the mindset of the people who advocate these theories.